Only two months later, we’re blessed with another homicidal single from Wakan Phoenix. Lasso On My Heart is another punchy salvo from the Brisbane duo. AAA Backstage is proud to premiere the new video. Back in August, the rock pairing gave us The Phoenix Will Rise—a returning single that appeared battered, bruised and beaten. The track’s impulsive and gritty nature teetered on impatience and tension. It was mammoth return for the band who took some time away to focus on other projects—one of those including Cold Shores, who premiered his previous two tracks, Hang 10 and Wash Up With You. Lasso On My Heart is the most gregarious track Wakan Phoenix have done yet. It’s proud, punchy and spares no backlash. It’s a potent echo boom with the group dumping mulch and gravel of their florid, high-octane rock. The song’s most glorious moment is its methodical crawl just before the 3-minute mark. Lead singer and guitarist Indy Davis peels it all back for a sparing moment, only to unleash it into an operatic show pony. Filmed by Will Johnstone—who’s pedigree includes DZ Deathrays, Bugs and Semantics—Wakan Phoenix found a perfect setting for their dusty rock ‘n’ roll. 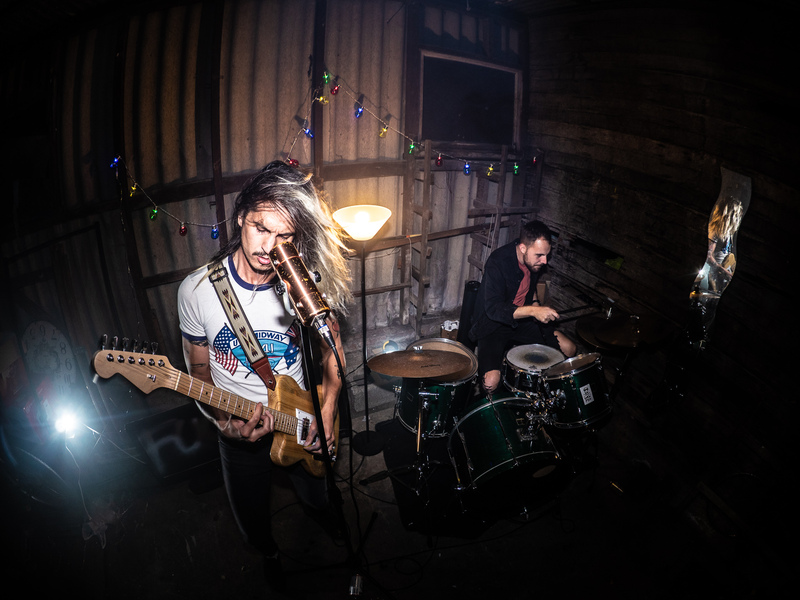 Backed by a broken, dilapidated tin shed, the duo rip through this new house party anthem that’s paired with their surroundings—rowdy, strung together and bombastic. Lasso On My Heart is the second track featured on Wakan Phoenix’s forthcoming album, ‘Well, Hell’. It seems like the album will hold a range of influences, as the band explore country-pop genres. “We’ve always been inspired by country music; everything from Hank Williams to Shania. To be honest, our cover of ‘Achy Breaky’ is probably the crowd favourite, so I guess we kind of ran with that vibe on this one,” explains the band. Make sure to catch Wakan Phoenix early November at 4ZZZ’s Small Band Energy event alongside The Royal Artillery, King Coyote and Elko Fields. Stream Lasso On My Heart below.